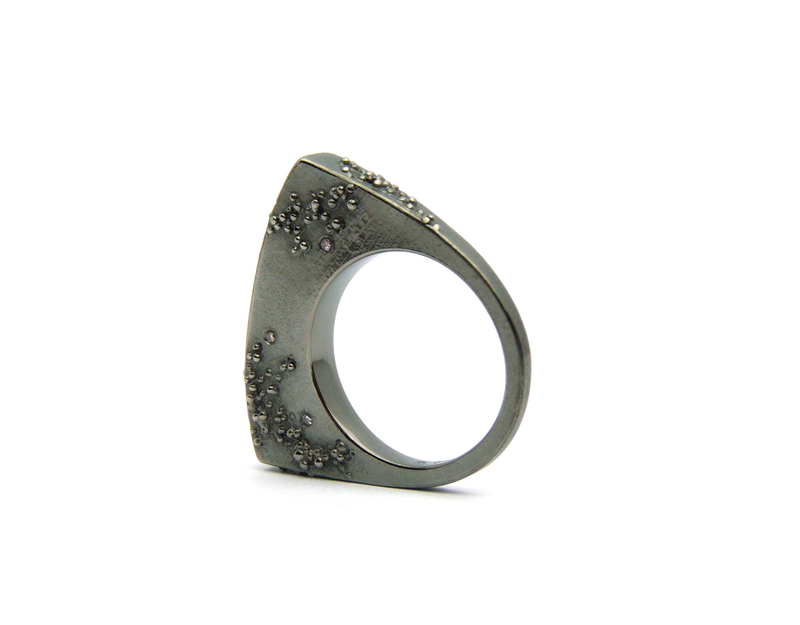 AMMA dots ring "Pink & Black"
Ring set with a pattern of tiny dots and pink diamonds. Black rhodium plated. Available in silver, 14 and 18 carat gold.